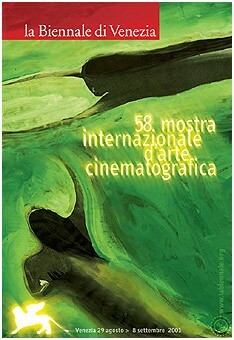 The 58th annual Venice International Film Festival was held between 29 August to 8 September 2001. ^ "GOLDEN LIONS – VENICE - 2001". Retrieved 6 October 2013. ^ "The 2000s". Retrieved 8 October 2013. ^ "Juries for the 2000s". Retrieved 3 April 2018. ^ "16th International Film Critics' Week". sicvenezia.it. Retrieved 3 April 2018.